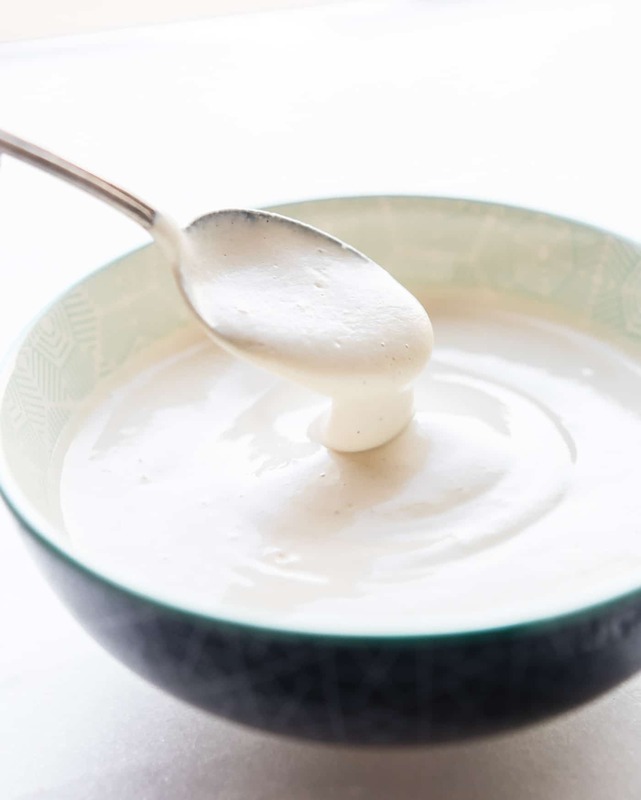 How To Make Cashew Cream Sauce. 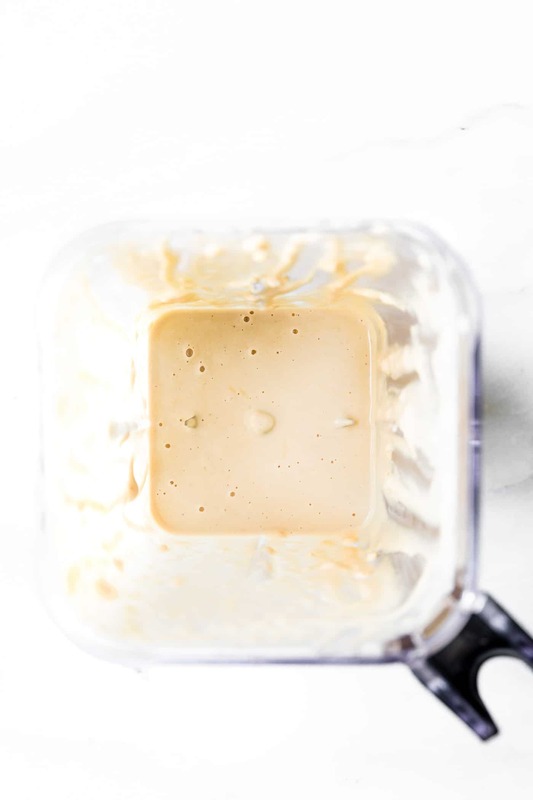 A multipurpose vegan cashew cream sauce that’s super easy and healthy! Plus you can make sweet or savory. I’ve shared several ways to use cashew cream sauce below. It’s definitely a great staple recipes to have handy! 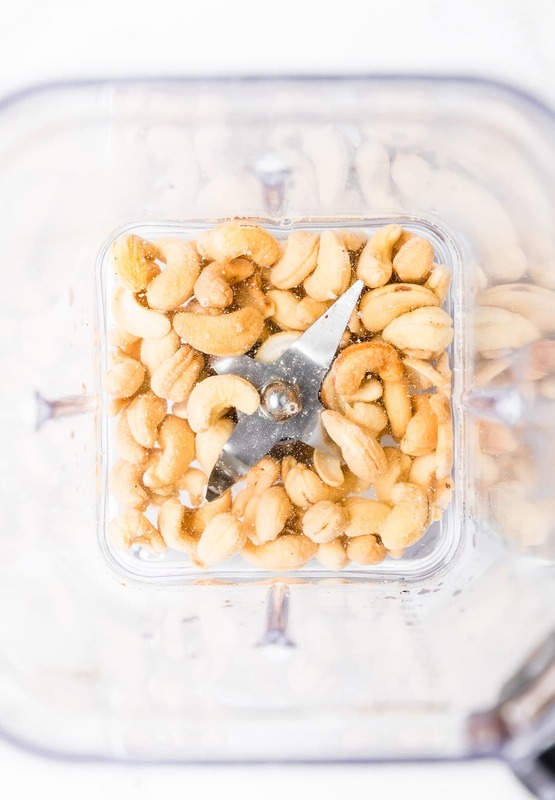 Learn the importance of soaking nuts prior to make cashew cream sauce. Or, opt for the quick 10 minute version. Paleo, whole 30 Friendly. Just letting you know this Multipurpose Vegan Cashew Cream Sauce recipe was originally published in late 2015. I will be using this recipe staple a lot going forward. I’ve retested, rephotographed, updated content and URL. Now I am republishing it for you today! I hope you enjoy. Thank you for following Cotter Crunch Y’all!. Okay, I confess, I think I may be a little late to the everything vegan cashew cream bandwagon. Better late than never, right? At least I was ahead of the game for my Vegan Salsa Con Queso. But that’s TOTALLY difference plant based sauce. This is THE STAPLE multipurpose cashew cream sauce that has been around for a few years now. It’s needed. It’s amazing. And I’d like to thank my mold allergies (that limited my dairy/egg intake) for introducing me to the beauty that is cashew cream. Haha, something to be thankful I guess. But in all seriousness, this sauce has been a game changer and life saver of a recipe. So creamy, so simple to make with just cashews and water. I’ll get to the recipe in a minute. Let’s discuss the ways to use cashew cream sauce. Then we’ll nerd out on the health perks! As you can see, cashew cream sauce can be made plain, sweet, savory, thick, thin, you name it! 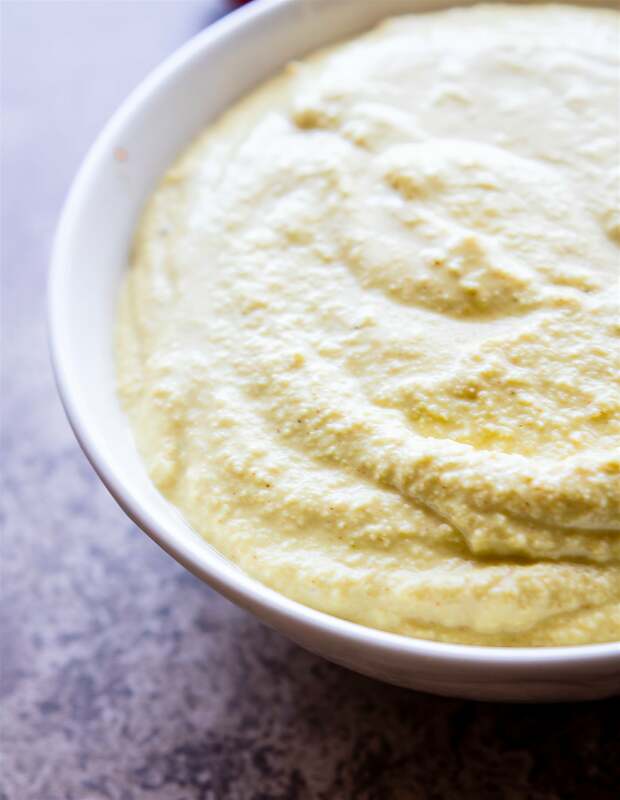 You can add nutritional yeast to make a savory “cheesy” vegan cashew cream sauce. Which is great for vegan mac and cheese. It would also make a great vegan “fettuccine” sauce. You can also add it as a savory sauce or topping. 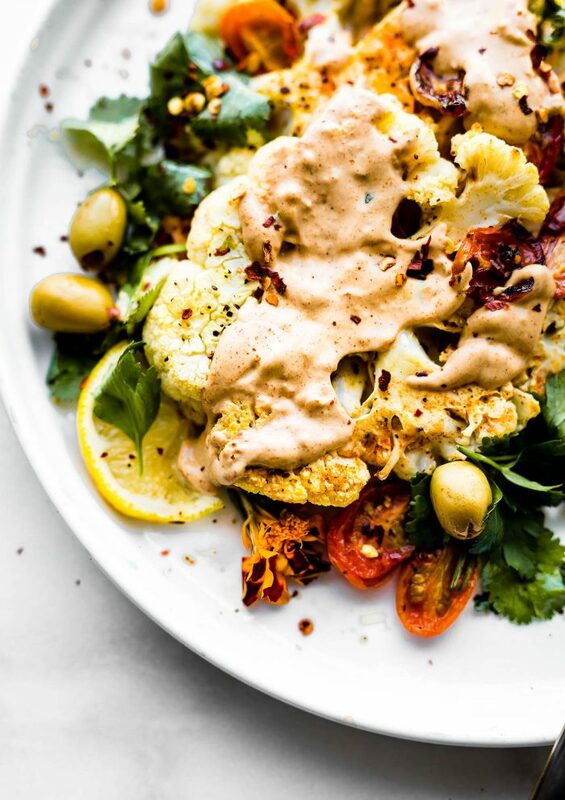 Which is what I did for these roasted cauliflower steaks with paprika cashew cream sauce! Don’t worry that recipe will be up this week! Oh and let’s not forget this creamy VEGGIE salad with a mustard cream sauce! Both of these are whole 30 friendly too! 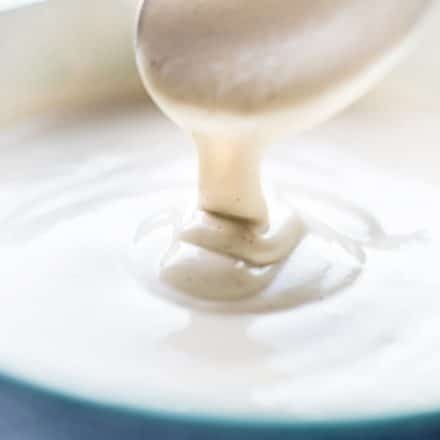 Or you can thin out the cashew cream with a bit more milk or water, add a little maple syrup, vanilla extract, and it becomes a homemade coffee creamer. Yep, just add a serving into your coffee and blend it together or use a frother! 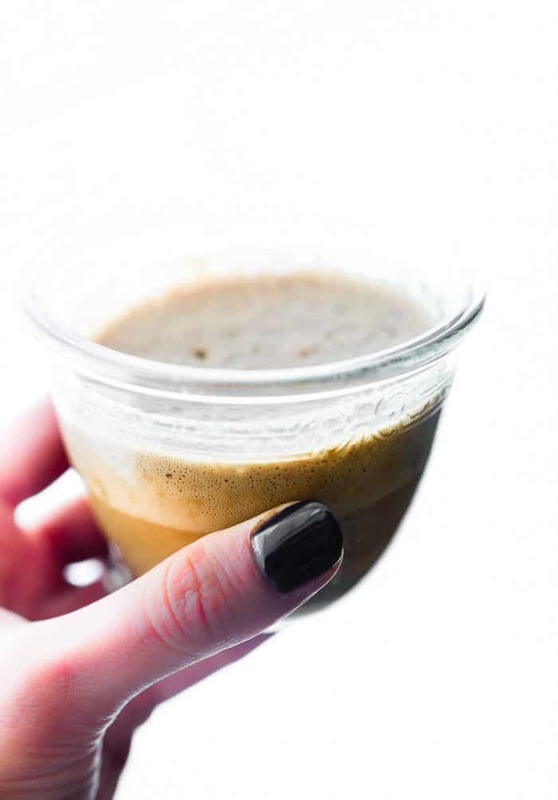 Perfectly delicious as a fancy schmancy vegan coffee or latte! 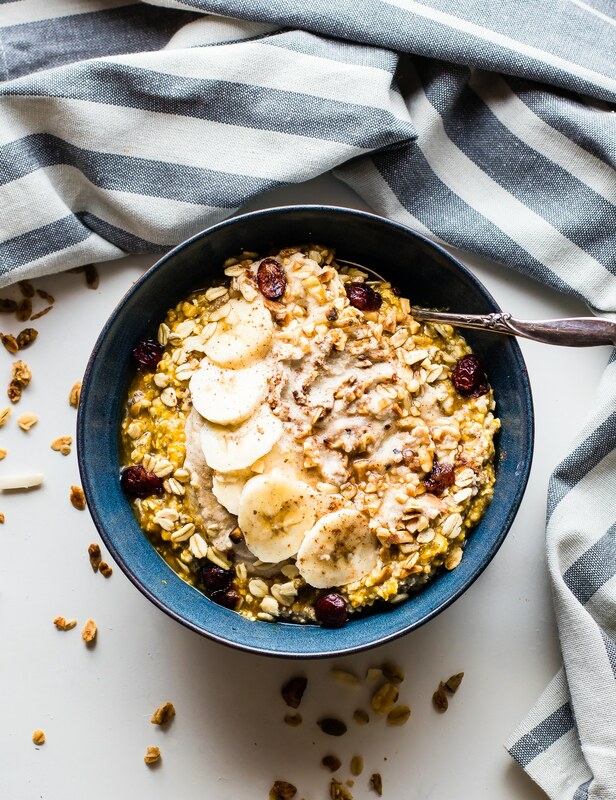 Heck you can even make a cinnamon cashew cream to mix it into overnight oats. PROTEIN BOOSTER TIP –> Mix in plain pea protein powder for a nutritional boost! Either way you use it, it’s pure bliss! 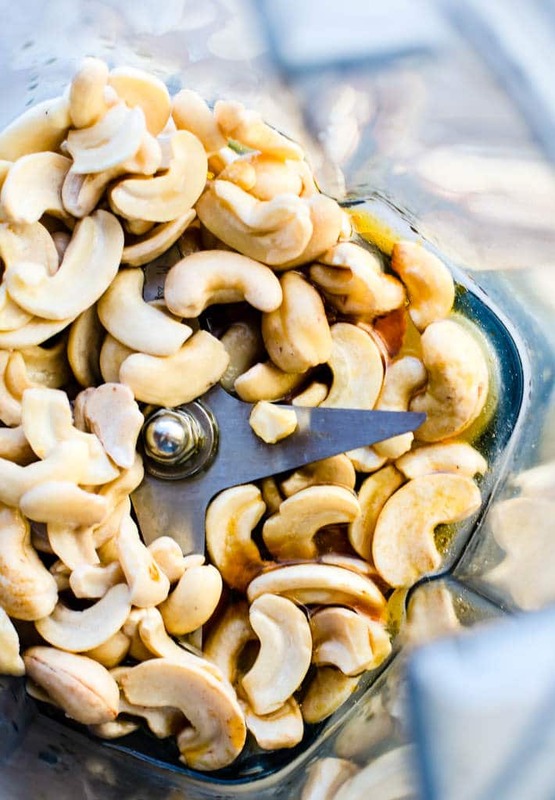 THE IMPORTANCE OF SOAKING CASHEWS & HEALTH PERKS! The longer you soak the cashews prior to making the cashew cream, the more the phytates are broken down. What are phytates? Glad you asked! Phytates are compounds found in nuts, seeds, legumes, and grains that can inhibit proper nutrition intake. They can bind to certain minerals (iron, zinc, manganese and sometimes calcium) and slow their absorption. That being said, the longer you soak nuts, grains, legumes, the more this compound is broken down. This means you can digest and absorb the minerals better. Make sense? (Source). Cashews contain a good source of plant based iron, zinc, magnesium, and selenium, all of which we need! So by soaking these nuts for 2 hours (or more), we’ll be able to ABSORB more nutritionally! That, my friends, is winning! Don’t have time for soaking? That happens! No problemo. 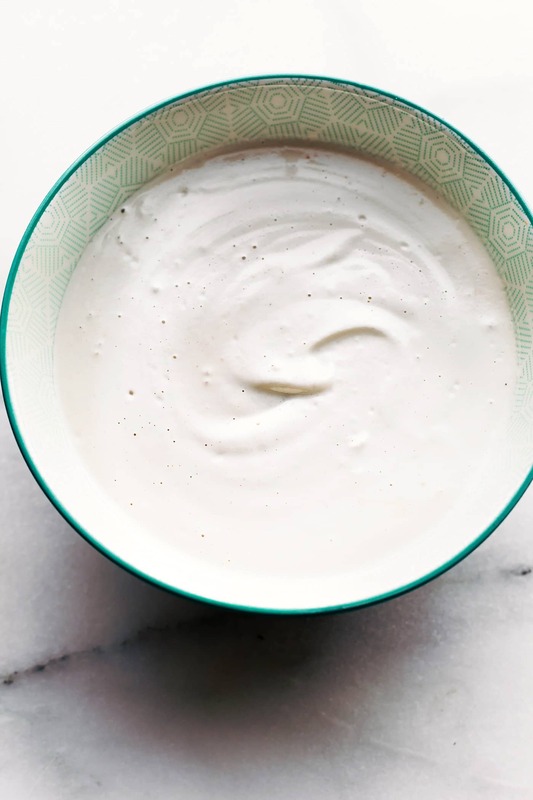 Thanks to my friend Cassie at WholeFully, I have now discovered there is a quick 10 minute version to make cashew cream sauce. Oh Cassie, I love you! 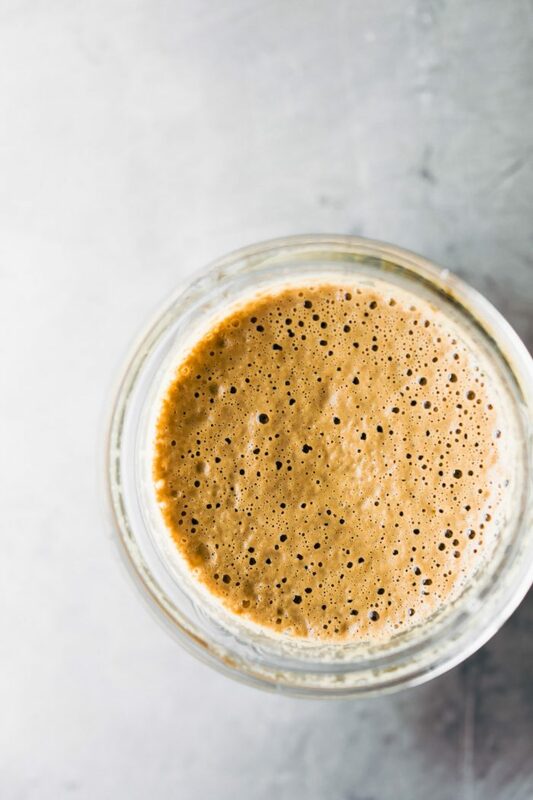 Ready to make vegan cashew cream sauce? Bust out the blender ya’ll! P.S I added a little garlic and nutritional to this one below. Hence the more orange color. Gah, so good! Multipurpose Vegan Cashew Cream Sauce that’s easy to make! Sweet, savory, thick, and creamy. 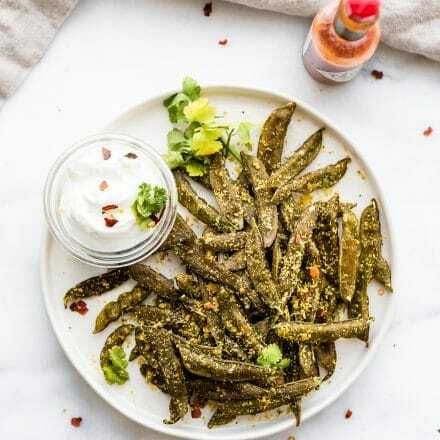 Savory – 1/2 tsp black pepper or chili (for spicy version). 2-3 tbsp nutritional yeast (for cheesy),1 garlic clove and spices such as paprika, cayenne, etc. 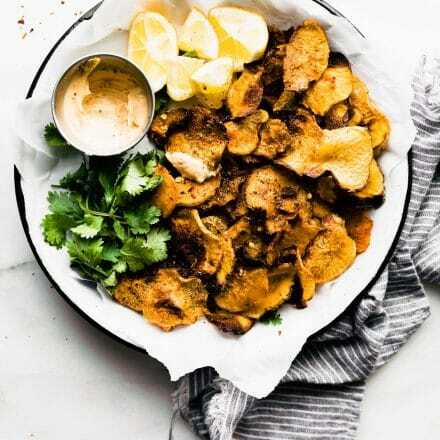 (blended in with cashews savory sauce), onion powder and fresh or dried herbs for a creamy dressing. Place your cashews in large bowl or jar. Cover with purified water for 6 hr to 12 hrs. The longer you soak the easier to digest. But the water will also evaporate more so your sauce will be easier to blend. See notes below for quick 10 minute version. After soaking, drain your water. Place cashews in a high power blender. Add 1 1/4 cup purified water, lemon juice, and blend until a creamy sauce is formed. You will need to keep stop blender a bunch and scrapping sides. If the sauce is too thick or gritty for your liking, add in 1/4 c to 1/2 cup more water and blend again. If you want to make it more like a milk/creamer texture, then once you’ve thinned it out the second time, add in 2-4 tbsp of non dairy milk of your choice or purified water. Blend again. Free free to add in sweetener of choice. See notes for more texture options. Optional sweet & savory add -ins : 1/2 tsp black pepper or chili (for spicy version). 2-3 tbsp nutritional yeast (for cheesy), 2 tbsp maple syrup and/or 1 tsp vanilla extract (for sweet). 1 garlic clove (blended in with cashews for garlicky sauce). optional for savory sauce use broth instead of milk. Keeps well in fridge for a few days or I like to freeze batches for later use. 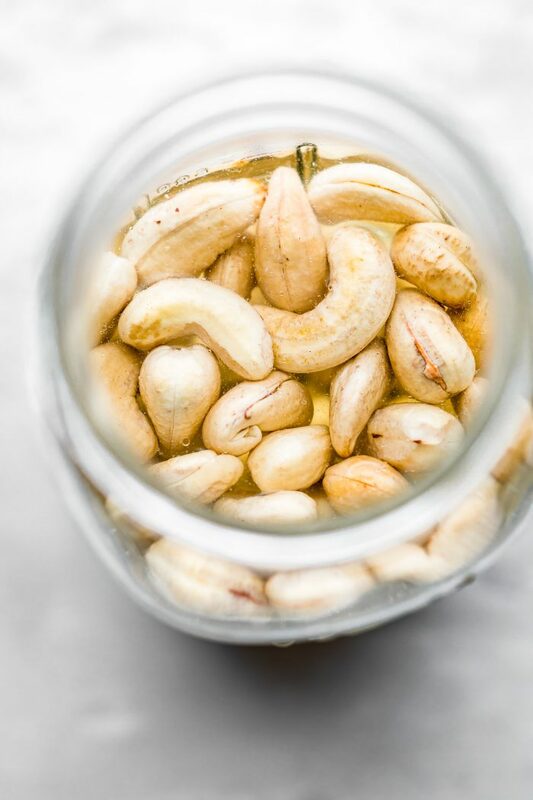 QUICK 10 MINUTE Soak/Boil option – Place raw cashews and three cups of water in a saucepan, bring to a boil. Continue boiling for 10 minutes then drain and rinse. Your nuts can then be added to the blender to continue. Adapted method from Wholefully. Extra thick –> If you want it extra thick like a hummus or frosting, then don’t add much liquid back in. start with 1/2 to 2/3 cup water or milk. Want to make a savory cashew cream sauce extra flavorful? Replace the water added to the blender with vegetable broth. FOR EXTRA CREAMY – Soak at least 12 hrs or try the quick version. Be sure to use a high powered blender. Please comment or email me if you need questions answered! Happy to help! This sauce freezes well. So if you want to make more, just keep half in freezer until ready to serve. Thaw out in fridge overnight. Estimated Nutrition per 1/4 cup serving of plain cashew cream sauce. Bonus –>> Keep frozen and thaw it out when you need it. Totally works! Have you made vegan cashew cream sauce yet? Have you tried cooking with this? Does it hold up to the heat? Yes. I actually just made a cashew cream mustard sauce with it and mixed it into sautéed Brussel sprouts. I’ll post that recipe next month. So good! You know, I’ve never made cashew cream sauce. I think this needs to change. Especially when I was the froth idea… brilliant! you’ll love the froth. I got hooked. I also love making ranch with it. CAN’T STOP! What a fantastic post! Love all the different options you suggest. That coffee creamer especially is speaking to me! The quick option works amazing! I made it the other night & it turned out perfect! Isn’t it addicting? I love it! Do you have gluten free brand suggestions? I am having a difficult time finding any. Yes, ma’am. All of the ones I have run across are produced in a facility that also works with gluten containing foods. I have played that game of roulette before and come out the loser so I would rather play it safe. 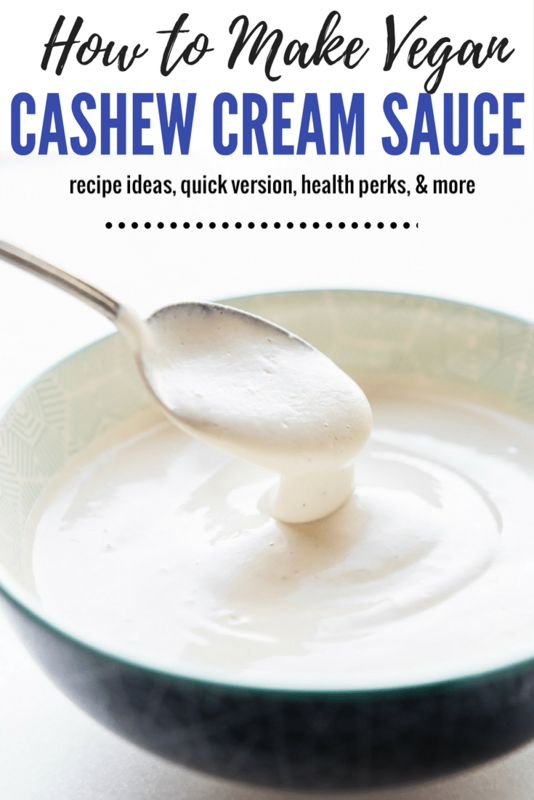 I love that this is a super versatile recipe – I see cashew based sauces everywhere. I love the alfredo version I have made before and want to make more things with cashews to substitute for dairy. This is a great jumping off point for new creations! Thanks! anytime friend! 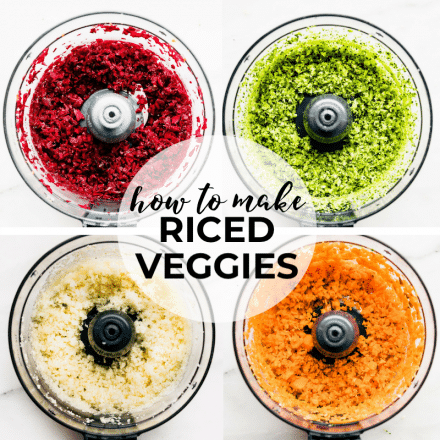 Let me know if you try more recipes with it! Is there a reason you cannot use the water you soaked the cashews in to also blend into the nuts? You can, but I find the water to be more gritty in taste. I like using fresh purified water. Hmm, I’ll have to give this recipe a chance! I just might put in on top of EVERYTHING! MMMM…. It’s so creamy; I kind of want to drink it. And it’s so cool how soaking grains and nuts and such breaks down those phytates; I have found that it really works well when we soak our grains especially for bread. Hi there. Do I blend the nutritional yeast in. Or just mix it in. either! I usually mix it in in case I want to save some cream sauce for a sweet version too. Hi thank you for all of your recipes! I’ve made this several times but it’ always tastes too sweet to use for savory foods. I’m On a low sodium diet; any suggestions? More lemon juice maybe? I made this a few weeks ago to have with cauliflower and it was delicious! I’ve come back to the page again but I can’t find the link to the 10 min version …! Can you post the link please? Thanks! Oh so sorry! My site crashed and I lost the update. Should be updated now! oh yum! Keep me posted. So it was moderately successful! It was tasty and the whole family enjoyed it, but I will tweak it next time. I used your cashew cream sauce with almond milk, but need to make it runnier next time as the slow cooker dried it out a bit. I did a lamb mince/chickpea filling for the lasagne, with some grated veggies – i didn’t have tinned tomatoes, so used 4 whole tomatoes – next time i will use passata to make a more traditional lasagne sauce (it tasted a little more like moussaka this time), and probably replace the chickpeas with a 4 -bean mix. And I used a quinoa/rice/pea pasta lasagne pasta . So overall a good first effort and looking forward to trying it again!! Nice recipe. It looks so yummy and tasty. I like it.